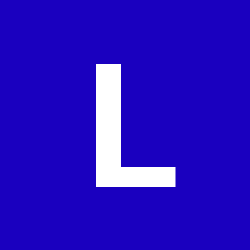 Lexus is once again taking part in advertising’s biggest day of the year in the USA with a commercial ready to air during TV coverage of the Super Bowl on Sunday (4 February). This week it has released an extended, minute-long digital version of the ad, created in partnership with Marvel Studios’ new movie Black Panther. 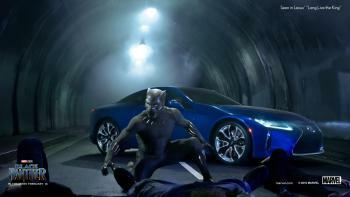 The spot, Long Live the King, pairs the new LS 500 F Sport flagship luxury saloon with the Black Panther, portrayed by Chadwick Boseman. Long Live the King depicts how the character T’Challa, in his guise as Black Panther, goes about recovering a stolen batch of vibranium, a mythical ore found only in his home nation of Wakanda. At the same time, he is due to represent his country as its king at a world leadership conference. 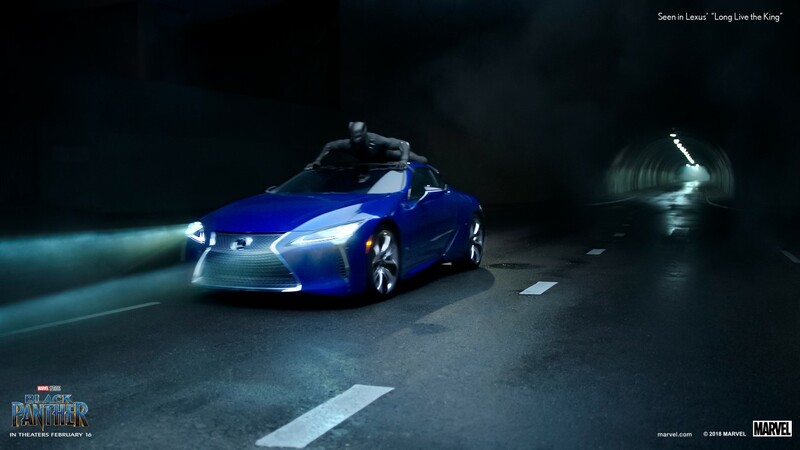 The Lexus LS 500 F Sport is the only vehicle both powerful and luxurious enough to keep pace with a superhero and provide suitable transport for a monarch. The soundtrack for the ad is Legend Has It, by Run the Jewels, from the Run the Jewels 3 album, which debuted at No1 in Billboard’s Top R&B/Hip-Hop chart for physical album releases. 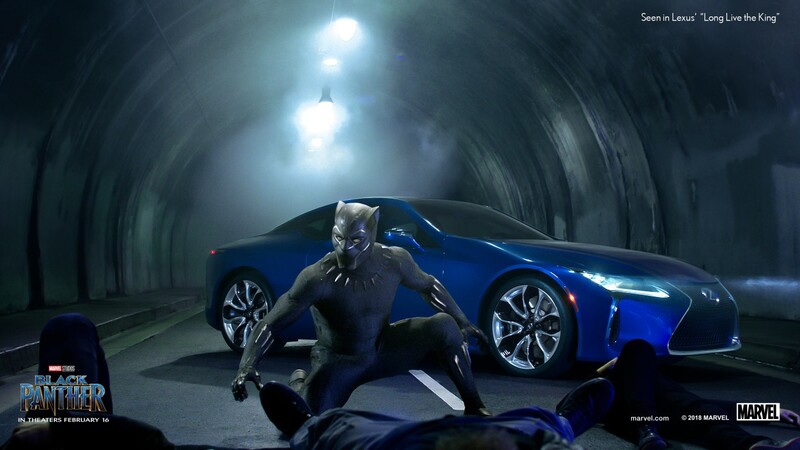 Long Live the King, directed by Samuel Bayer, incorporates actual footage from the film—notably, of Letitia Wright as T’Challa’s sister, Shuri—and features many of the film’s actors, plus a cameo appearance by the Lexus LC luxury coupe. Original costumers and members of the technical crew were also recruited for the shoot, including fight choreographer Jonathan (JoJo) Eusebio. Shooting took place at night in downtown LA, using a custom lighting unit and VFX work was undertaken by the Luma studio, responsible for some of the special effects in the movie. 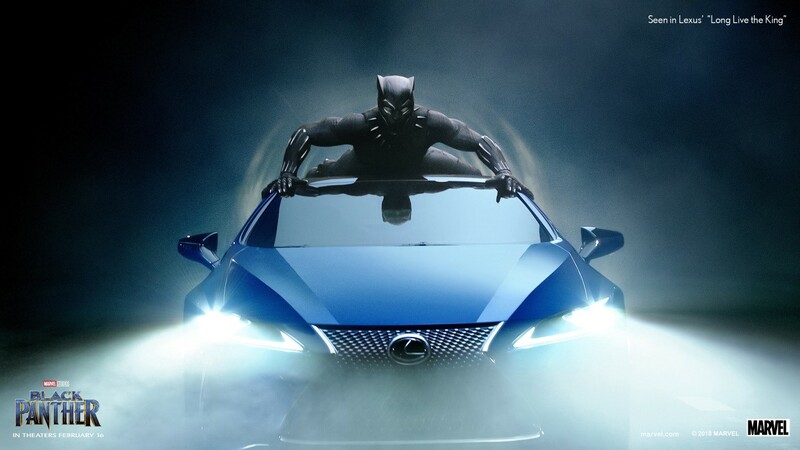 The Super Bowl spot is part of a robust collaboration between Lexus and Marvel Studios’ Black Panther. It includes the Black Panther-themed event at Comic-Con International: San Diego after-hours last July, and an original graphic novel created with Marvel Custom Solutions, Black Panther: Soul of a Machine, introduced at Comic-Con. 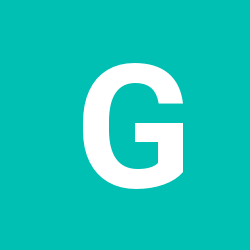 The entire graphic novel is now available to read online . In October, ahead of the SEMA after-market show in Las Vegas, Lexus unveiled a 2018 limited-edition LC Inspiration Series production car that will go on sale in the USA this spring, and a custom concept coupe dubbed the Black Panther Inspired LC. In addition, a co-branded Marvel Studios’ Black Panther Lexus TV spot debuted on 22 January. Lexus’s collaboration with Marvel Studios and the creation of the two spots are being executed by Lexus’s multicultural agency, Walton Isaacson. This is the fourth time Lexus has appeared in the Super Bowl, following its 2017 ad Man and Machine, and spots during the 2015 and 2012 games.